El Gouna, the little Venice of the Red Sea is located 30 km north of Hurghada city. Kids Club and special animation kids programs. The spacious outdoor adult swimming pool and the wonderfully reserved landscape gardens and tropical palm trees surrounding the Swimming pools is for sure a very relaxing experience and the separated children pool is a real fun for children. The Aqua Park Swimming pool with 20 meters high adult's slides and the children slides is a real Entertaining area for families. Fully equipped Gym, Sauna, Massage and a beauty center. Lobby Bar:- --------------- Relax and enjoy a pleasant time at the lobby bar, it’s the ideal lovely spot for different kind of refreshments and cocktails. Pool Bar:- ----------- Experience a very relaxing tranquil vision of the pools and gardens, providing different kind of Refreshments and Cocktails at the Swimming pool bar and lounge. 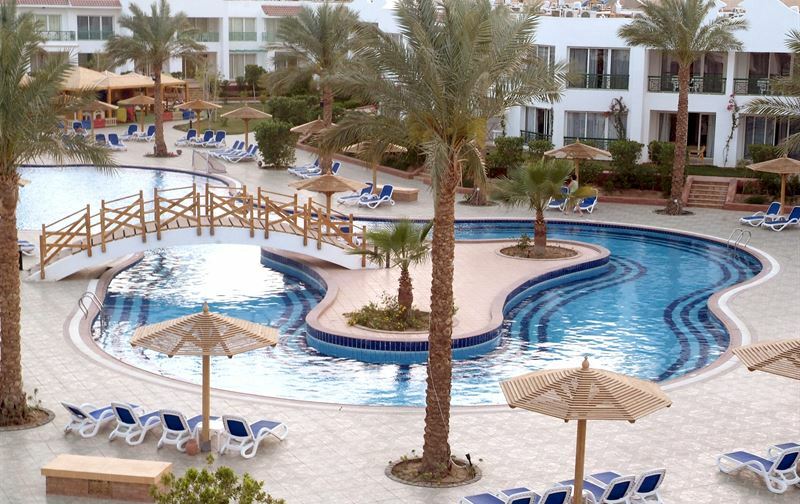 The Panorama Naama Heights Resort Sharm El Sheikh features 241 spacious rooms, Family rooms and Suites with fabulous view overlooking the Swimming pools and beautiful gardens, comfortable modern rooms with modern conveniences. All of our stylish rooms feature balcony or terrace, individually controlled air condition unit, hair dryer, mini bar, Tea & Coffee Facilities, Satellite TV or LCD, electronic Safe box, Telephone, Bathroom with bath tub or shower Special Honey Moon packages with special amenities upgrades and celebrations, special Birthdays and anniversaries arrangements. The Main Restaurant offers a variety of different dinning experience and international cuisine with daily theme buffets. The Snacks Pool Restaurant opens for lunch offers a wide selection of snacks, Pizza ,favorites from salads. Well trained multilingual animation team, daily evening shows . 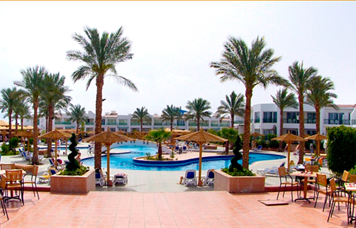 The Panorama Bungalows Resort Hurghada is one of the most marvelous hotels on the turquoises shores of the Red Sea. 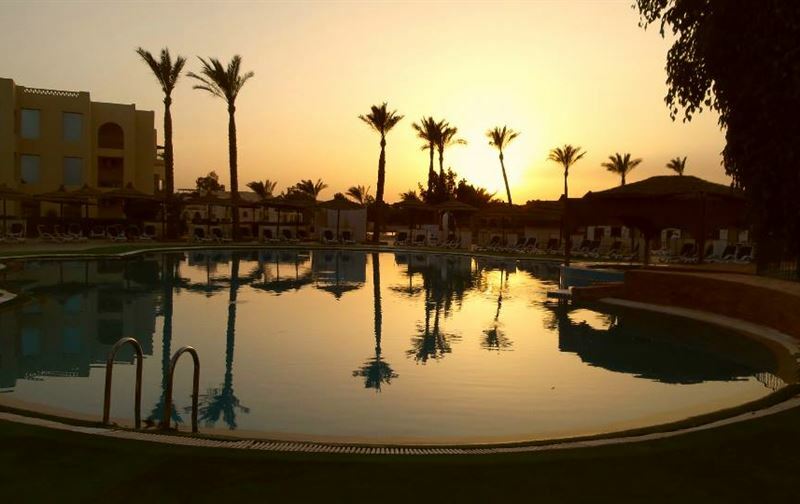 Greek style resort in complete harmony, located direct on a beach has touch of privacy, just in the middle between of Hurghada & El Gouna cities. 15 K.M far from Hurghada international airport. Open your window and please your eyes looking at the matchless view of the sea, enjoy! The Panorama Bungalows Resort is 4 stars hotel located at the heart of El Gouna city, only 3 minutes walking distance to El Gounaç—´ City Center. It is located on a semi-island of approx. 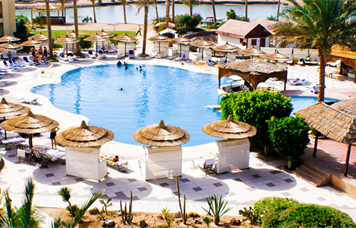 30.000 SQM with a beautiful view over the lagoon to the Red Sea, as well as Kar El Gouna (Down Town El Gouna). Next to the Resort is the 18 holes USPGA championship golf course of El Gouna where the visitor has beautiful view of a green landscaping. 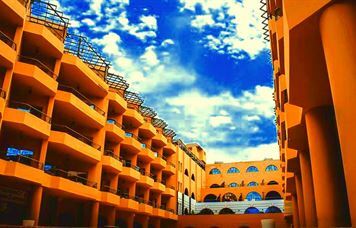 The Panorama Naama Heights hotel is 4 stars hotel situated on the heights of the famous Naama Bay, 15 km from Sharm El Sheikh International Airport. 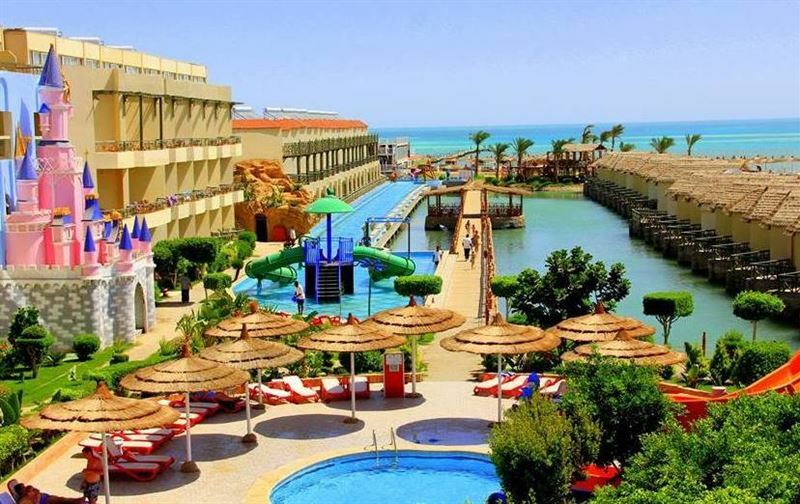 The hotel is set in extensive landscaped grounds overlooking the panoramic view of Naama Bay and the Sinai Desert and mountains. Enjoy the sun and the sea on our extensive collection of beaches near the hotel or by the swimming pools. Whether with your partner or family, enjoy a unique holiday doing whatever you please.